Have you ever wanted your own social network? It’s actually pretty easy to make one. You won’t even need powerful servers — a social network for 500-1000 users can work straight from your hosting account. If you want to make a new Facebook — forget about it. Promoting such a large-scale social network simply isn’t viable these days. But nothing stops you from developing a small, niche portal for the fans of some hobby or another dedicated community. For example, you can make a social network for your city. Or your high school. Or for people who love cats. It’s completely up to you, which niche your network will occupy. It’s focused. How many items in your Facebook feed are relevant and interesting? Among the lame statuses, memes and ads, I doubt there’s much. But a specialized social network won’t have such trash and that means there will be more interesting posts. And you will have an easier time monetizing your website. It’s functional. For example, in a social network for people who love cats, there can be a field in a profile for the pet’s name and description. Or, if it is a network for audiophiles, a field for gear. Coding a network from the ground up. You’ll probably need a team of programmers, a couple of years and a lot of money. Using an existing engine. There are several solutions on the market. Boonex Dolphin. A decent, convenient system, but with a rather bad support. If you have some experience of working with CMS other than WordPress — you can give Boondex a shot, but you will be pretty much on your own. The price of the license is $40. Elgg. It’s just not good and almost abandoned. It’s free, on the other hand, so at least the only thing you’d waste is time. Do not recommend. PHPFox and Social Engine. Two commercial-grade CMSs, which are designed specifically for social network creation — and it actually feels like it. They are functional and convenient, but the problem arises when it comes to pricing — $300 will barely be enough for the CMS itself, not to mention support. And you will probably need a VPS or even a small server due to the sheer complexity and performance required. 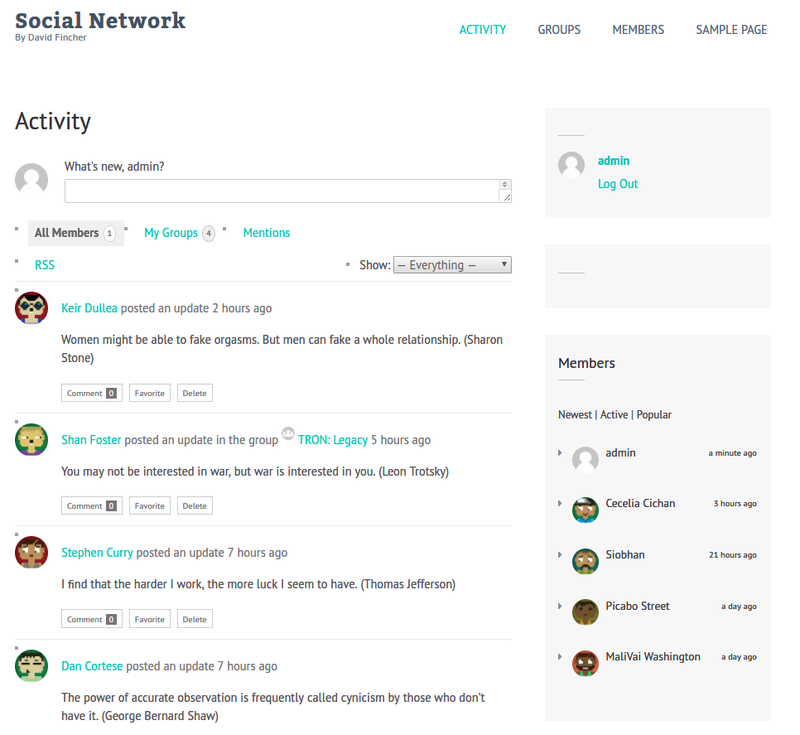 Social network on WordPress. During the last couple of years, WordPress plugins have finally reached the level where I can recommend them for commercial projects. They can even work from the shared hosting, which lowers the expenses even more. 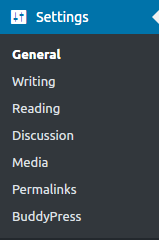 Of course, we are going to be using WordPress. 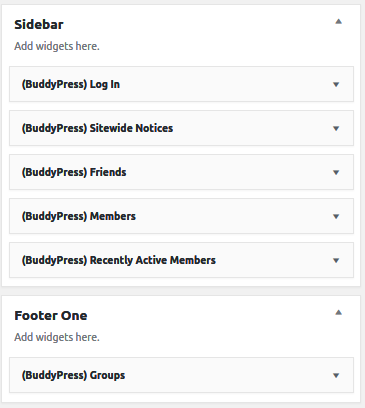 There are two popular WordPress plugins for social network creation — BuddyPress and PeepSo. BuddyPress belongs to Automattic — the owner of WordPress.com, WooCommerce and other large WordPress projects. And you can definitely see it — the system is very convenient and intuitive, everything works as it should. On the downside, monetization is rather annoying and somewhat limiting. In order to use BuddyPress to its full capacity you need a special theme — like Boss, offered by BuddyPress for $200. Otherwise, you’ll have to drone over the settings of your current theme and get only an acceptable — but nowhere near exceptional — result. As a result, Buddypress is very convenient and easy-to-use, but somewhat primitive. Luckily, there are many free add-ons that can fix the situation. A particularly memorable one is BuddyPress Default Data that allows you to fill the social network with bots and fake data. This allows to test the whole functionality without having multiple testers. On the other hand, I rather dislike the need for plugins. 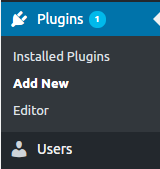 Even now there are some plugins for BuddyPress which are not updated and refuse to work on the current version. It’s not a dealbreaker, but it is a concern. PeepSo was created a several years later than BuddyPress and the plugin creators really tried to learn on their competitor’s mistakes. Spoiler alert: they didn’t succeed. You can’t talk about one without bringing up another one. You see, in the basic version of PeepSo you can’t even add another user as a friend. More than that — there’s no way to unlock the so called «feature-complete» version. PeepSo requires you to use official add-ons, and all of them are rather high-priced. You’ll have to pay $20 to let people friend other people, another $20 for galleries, $20 for videos, $30 for personal blogs, $100 for the notifications, the list goes on. The final price is around $800, but PeepSo offers a generous discount to $664. That’s actually enough to get a license for PHPFox or Social Engine, as well as pre-pay the server for it for a couple of months. And that solution will blow anything PeepSo can offer away. Besides, despite promises from creators that their platform won’t be fragmented and the add-ons will never deprecate, I still could not import data from BuddyPress. Why? Well, the corresponding add-on does not support the current version of PeepSo — 1.7.4. Among BuddyPress and PeepSo, I pick BuddyPress. It’s far from perfect, but it is cheaper, more convenient and has more functionality. To begin with, you’ll need a WordPress website. Fresh install is highly recommended, but you can make it work with an existing one too. In the search field, enter BuddyPress. 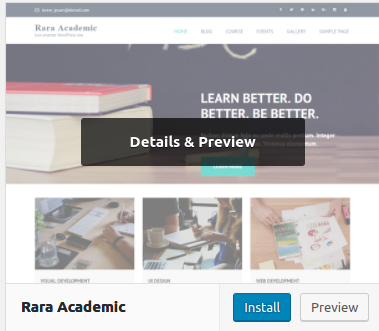 Find this plugin and click Install Now. 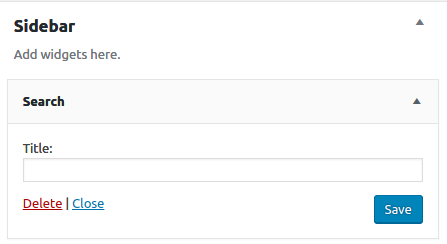 Go to Settings > BuddyPress. Check all the components you want to enable. Now the core of BuddyPress is working and your website already has a registration page, login page, feeds, groups and all the other stuff. The problem is, you visitors do not know about it, since they cannot access those pages. First of all, enable the registration. Check the mark in front of Anyone can register. Now, add the pages to the menu. 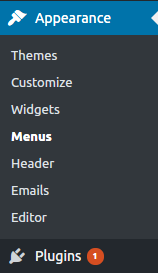 Enter the name of the menu and click Create menu. 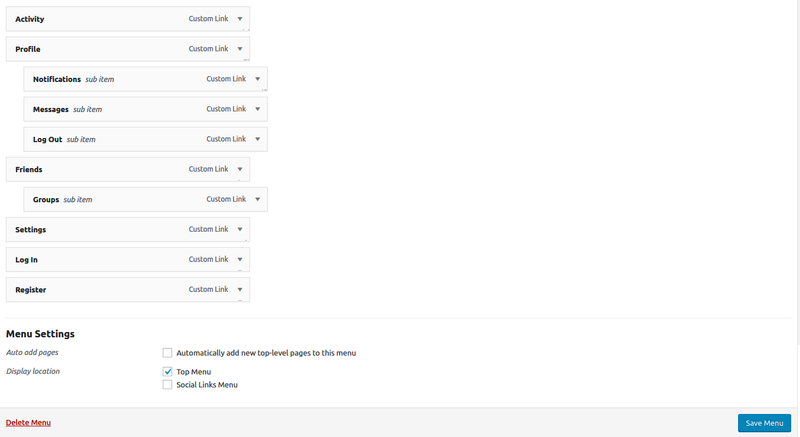 Pick all the pages under BuddyPress and click Add to Menu. Sort them the way you like, check the mark Top menu and click Save menu. 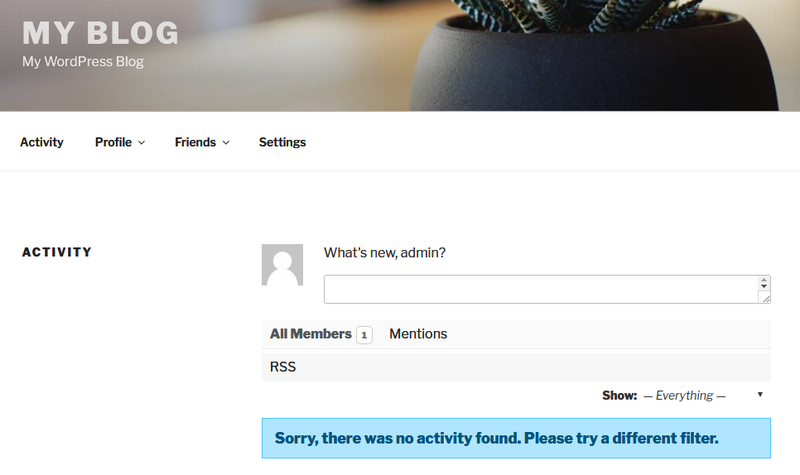 Now you need to let people go to the Activities page when they login on your website. Under On the main page click Static page. Under main page select Activity. It does resemble a social network, but only barely. You need a different theme, ideally — BuddyBoss. But a free theme would do nicely too. Find a fitting theme. 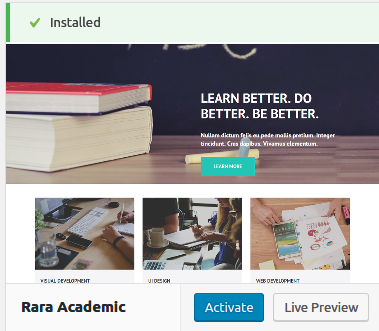 I like Rara Academic. Your website already looks like a social network, but the widgets still show that it’s a blog at heart. Let’s fix it. 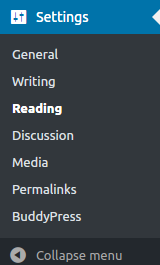 Delete all the widgets from the sidebar. To do this, click on the widget and click Delete. The only thing that still snitches on the true origin of your social network is the header. 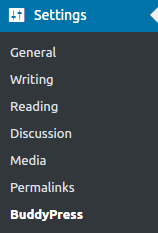 Header can be easily changed in settings. From this moment on, you can start setting up BuddyPress the way you like — add custom fields to the profile page, install plugin add-ons and overall make your social network special and memorable. Now you’ve got your own social network. 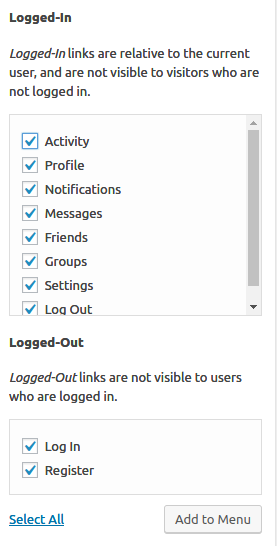 It’s time to look for new users — talk about it on forums, send messages to friends, post about it on Facebook. I wish you luck and success. And if you still have questions — I’ll gladly answer them. При регистрации пользователя проблем не возникает, но когда он пытается войти повторно, его кидает в админку. 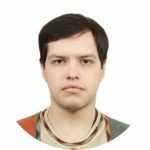 Как сделать, чтобы простые юзеры не попадали в админку и не знали о её существовании вообще?